If Heart line has black dot sign at the place where, heart line and fate line meets, it indicates that the bearer will be highly affected by eye diseases and become woeful. There is also a chance that the bearer may become blind. 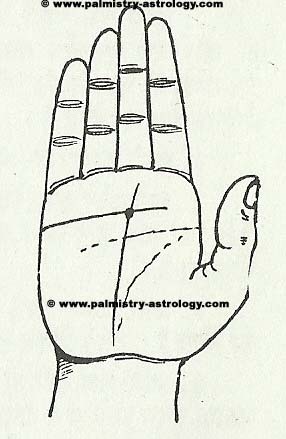 Tagged Blindness prediction by palmistry hand lines reading, Eye diseases predictions by palmistry hand reading, find whats your Heart line says, free online palmistry, Heart line, Heart line palmistry, Heart line touching Fate line palmistry prediction, palm reading, Prediction about Black dot sign on Heart Line on palm, Presence of Black dot sign on Heart Line, the line of Heart. Bookmark the permalink.